Most redheads have extremely sensitive skin, with the eye area being the most sensitive because the skin in that area is thinner. It is prone to darkening, puffiness and redness too. It’s important to protect this area with an SPF during the day and eye cream at night. How about your mascara? This area can be extremely sensitive for some and we’re thankful hypoallergenic mascara exists. 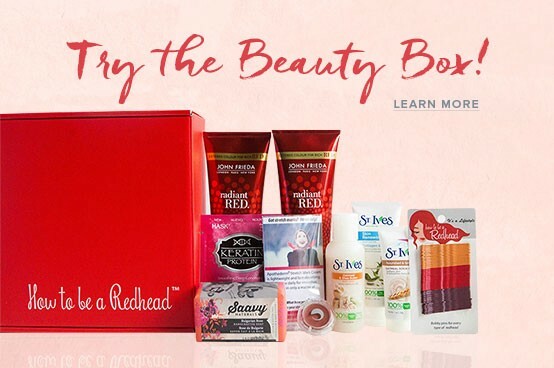 But, what about waterproof mascara? Summer is here and waterproof mascara is used more than other seasons. 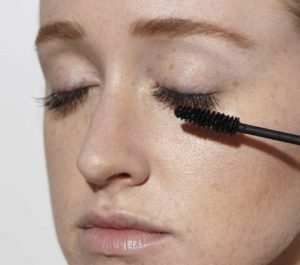 Whether you are camping, swimming, exercising or just plain existing in the hot & humid weather, you want to make sure your mascara is still intact. Runny mascara can ruin your makeup and cause irritation around the eye area, especially if you wear contacts. People have been using Maybelline mascaras for years and very seldom do they fail to deliver. This one is right in line with the others. 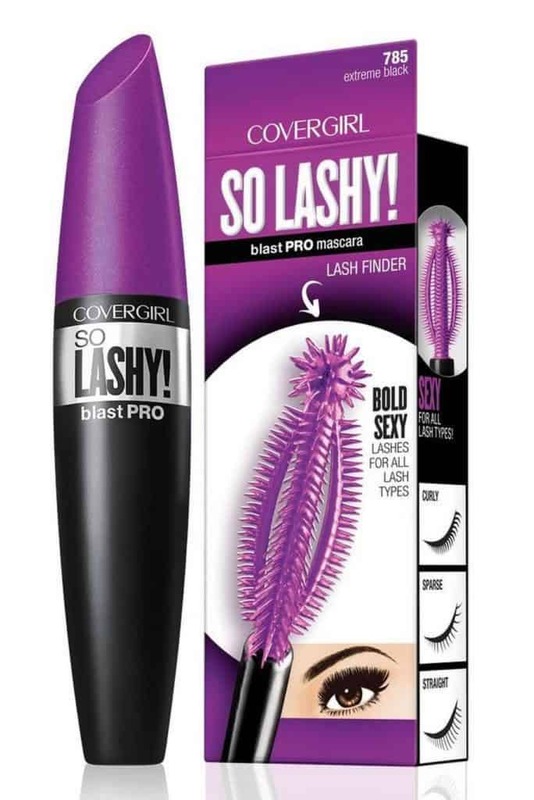 It is one of the newer mascaras from Maybelline that recently hit the shelves. This one is easy to use with its large, fluffy brush applicator that leaves your lashes looking thicker, fuller and longer. I haven’t worn it too many times yet this summer but each time I do, I am never disappointed. I have even come out of the shower without washing my face and my mascara still looks fabulous. It also doesn’t irritate my skin or eyes. A nice drugstore deal for less than $10. A long time ago, I had the opportunity to buy this mascara in the non-waterproof formula. I fell in love immediately. The brush was great, it had no smudging or smearing and came off easily. When I needed a good mascara during the summer for swimming days, I went right out to see if it came in a waterproof formula. And it did! It has incredible staying power. I didn’t smudge, smear or flake at all. It took a little extra wiping with makeup remover to get it off, but it stayed put the way I needed it to. In the water and out in the heat, this was certainly a good investment. It’s a little higher in price for $27.50 but worth every cent. 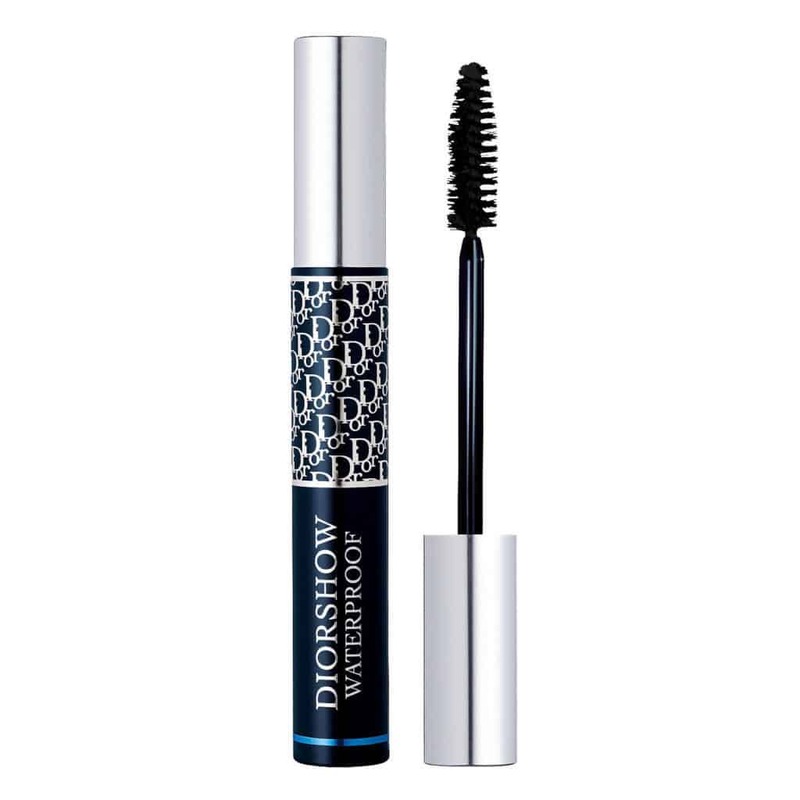 If you love the look of feathery eyelashes, then this waterproof formula will not let you down. 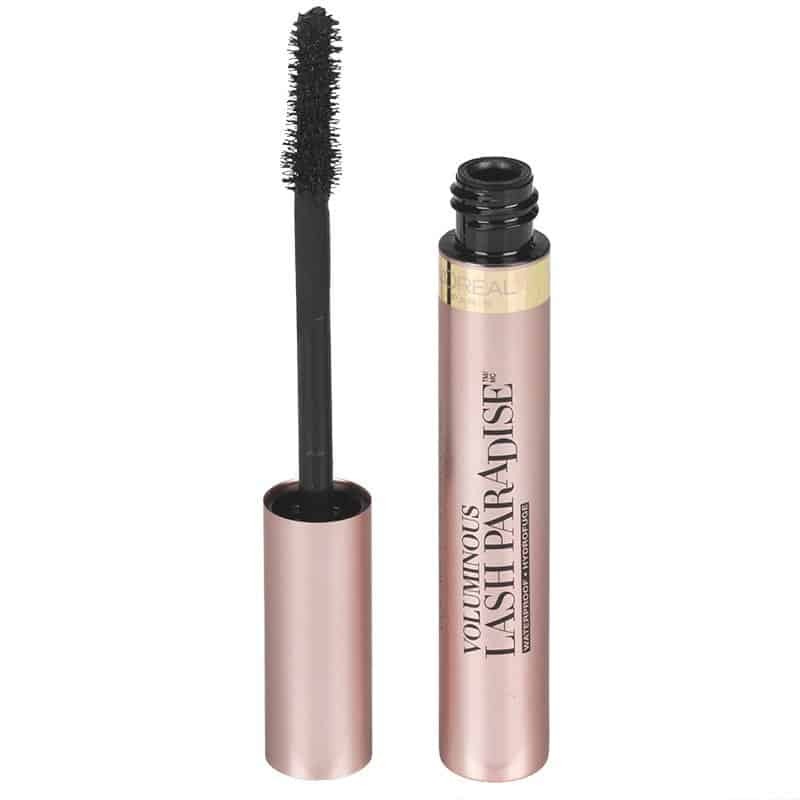 Always a drugstore fave, L’Oreal’s Voluminous mascaras are a great drugstore option. 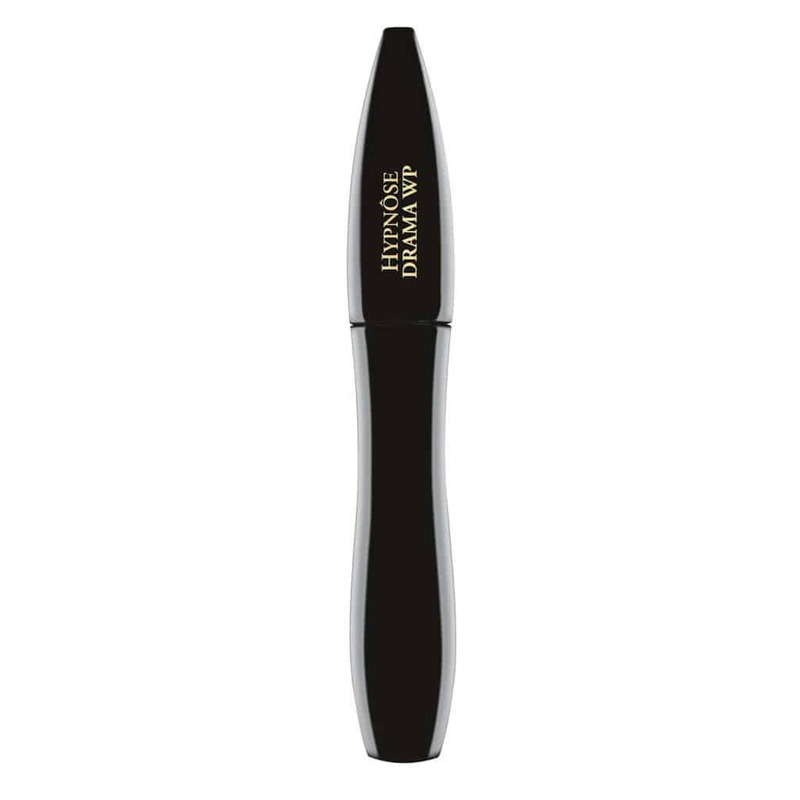 I love the look I get with the round, downy-like brush that lengthens lashes and makes them full. It goes on smooth without clumps and lasts through the wettest of conditions. The waterproof formula goes on the same way as the non-waterproof one does except that it withstands anything you throw at it (that’s wet!). A department store diamond for under $10. After not wearing waterproof mascara for a long time, I found myself needing one about 4 years ago while preparing for a lakeside camping trip. The forecast was hot, humid and predicted rain for a few days so I thought I better pick one up especially since I planned on swimming as well. I looked at reviews and styles of wands and decided on this. This pick was fantastic and I was beyond pleased. The comb-like wand is unique in that it coats all lashes from base to tip and keeps them separated. The wand end is a small ball spoolie to get in the corners and to neatly coat the bottom lashes. The formula works for all lash types, and the color is the richest of blacks. It is perfect for my hot weekends by the lake, and it’s my go-to product when I need a strong mascara for a water or rain photo shoot. Even sensitive eyes users won’t have an issue with this mascara. Out of all the waterproof mascaras I have tried, this one still remains at the top of my list! An amazing drugstore product for less than $11. It doesn’t have to be summer for you to need a long-lasting mascara. 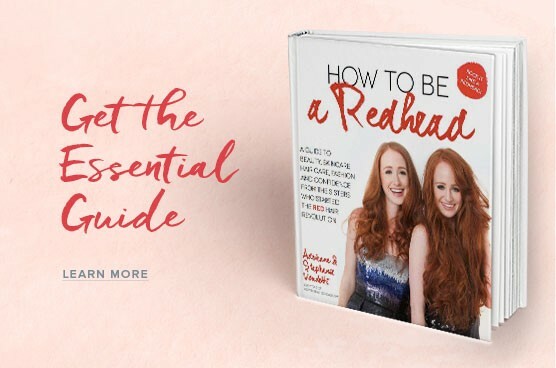 If your sister gets married, you head to the movies to see a sappy romance movie or someone you love wants to take a walk under a waterfall, a good waterproof mascara is something everyone—even redheads—need in their makeup collection. 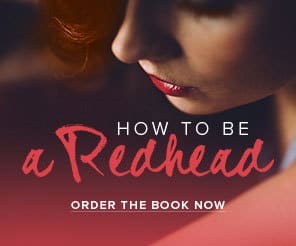 Keep your eyelashes looking great in any conditions so you can still Rock it like a Redhead!